Gypsy is a Cascade 36. She was made by Yacht Constructors in Portland, Oregon. Gypsy’s hull was made in 1971 and she was launched in 1974. We are her third owner and we bought her in 2003. 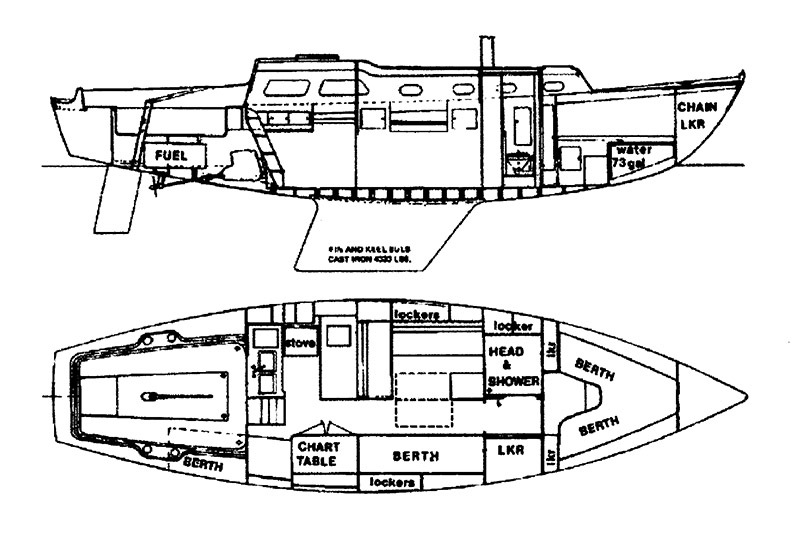 This drawing shows the layout of the boat. Yacht Constructors started building fiberglass boats in 1954. 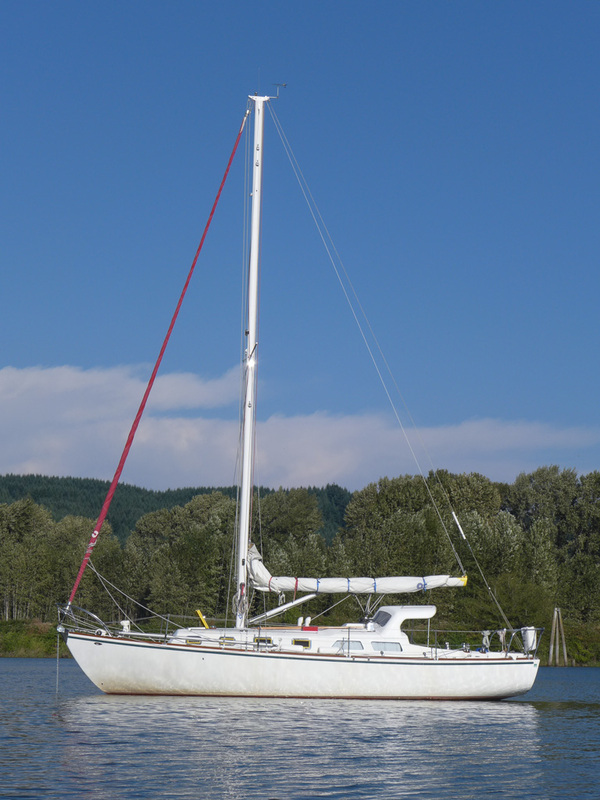 Their first sailboat was the 34′ Chinook. The naval architect Robert Smith was hired to design the latter Cascades and his third design was the Cascade 36 which came out in 1967. Smith was known for designing fast boats. Raindrop, a Cascade 36, won the Pacific Cup race from San Francisco to Hawaii, in 2008. Many Cascade 36s have made long voyages and several have circumnavigated the world. Has anyone mentioned a project to recreate the custom aluminium stanchion mounts, which fit to the Cascade aluminium toe rails? Hi guys, found your site by chance. I sailed my old Cascade 36 from FLorida to New Zealand a few years ago. Some great times and many miles on the old girl. A great strong boat for a young couple. With each sail we felt more and more confident in her abilities. Really a fantastic design. Good luck with your refit. It looks extensive!! Yes, the Cascades are great boats. We plan to head for New Zealand once the refit is done. Thanks for the encouragement. Hi Brian if your name and the details.I have match was she called cetacea ? If so I own here now and and completely rebuilding her. Hello all. I’m looking for a Cascade 36, hull #12, The Sea Gypsy, launched in 1969, docked at the Portland Yacht Club and owned by the Fred Van Raden Family until she was sold in 2004. I would welcome any news of her. Thanks in advance !